Amalgamated Bank of Chicago has 2 credit card offers available that both provide a $150 statement credit after $1,200 in purchases within the first 3 months with no annual fees, including the ABOC Platinum Rewards Credit Card and the Amalgamated Bank of Chicago Union Strong Credit Card. It looks like anybody across the U.S.A. can apply for either of these Amalgamated Bank of Chicago credit cards online with no restrictions. 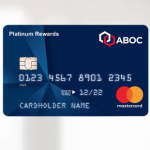 Apply for the ABOC Platinum Rewards Credit Card to receive a $150 statement credit after $1,200 in purchases within the first 90 days, plus earn 5X rewards on up to $1,500 in combined purchases each quarter in popular categories such as dining, groceries, travel and automotive, and there is no annual fee. This $150 bonus offer from Amalgamated Bank of Chicago is only valid for new credit card accounts. To qualify and receive this offer, your account must be open and in good standing, and you must make purchases totaling $1,200 within the first 90 days from account opening. The ABOC Platinum Rewards Credit Card from the Amalgamated Bank of Chicago will give you a $150 statement credit bonus after you make $1,200 in purchases within the first 90 days of account opening, plus you’ll earn 1% rewards on all of your spending with no annual fee. Earn a $150 statement credit after you spend $1,200 on purchases within the first 90 days from account opening. Earn 5X rewards on up to $1,500 in combined purchases each quarter in popular categories such as dining, groceries, travel, and automotive. Earn 1 Point per $1 spent on every purchase with no spending caps and points that don’t expire. Get extra points by shopping with ABOC Rewards partners via www.ABOCRewards.com. Your rewards include travel, cash (in the form of a statement credit), gift cards, and merchandise. 0% Introductory APR on Purchases and Balance Transfers for 12 months from the date of account opening. Manage your account from your smartphone anytime, anywhere with the ABOC Mobile Credit app. The Amalgamated Bank of Chicago Union Strong Credit Card will give you a $150 statement credit bonus after you make $1,200 in purchases within the first 90 days of account opening, plus you’ll earn 1% rewards on all of your spending with no annual fee. The Amalgamated Bank of Chicago provides its credit card members with the ABOC Rewards Program that is free to join and offers rewards everywhere you use your card. You’ll earn 5X rewards on up to $1,500 in combined purchases each quarter in popular categories such as dining, groceries, travel, and automotive (review the 5X Rewards Calendar). You’ll earn 1 ABOC Rewards Point for every $1 you spend on purchases wherever Mastercard is accepted. New cardmembers automatically begin earning rewards from your first purchase, and rewards are earned on every purchase made on the card. The quick and easy registration gives you access to the ABOC Rewards website, where you can view your balance, redemption options, and travel opportunities. Every $1 in purchases = 1 ABOC Rewards Point. Easy redemption online or by calling 1-800-927-0100. Choose your rewards: statement credits, airline miles, merchandise, gift cards, or even a combination of rewards types. 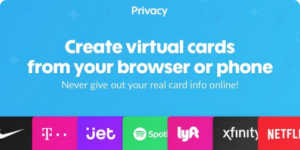 No cap on the amount of rewards you can earn, and points never expire as long as your account is open and in good standing (If you close your account, you will lose your rewards points). Online account access 24 hours per day, 7 days per week. You can even gift points to other ABOC Rewards members. If you’re looking for an alternative credit card option from a lesser known bank, try the Amalgamated Bank of Chicago credit card offers to get a $150 statement credit bonus for a limited time. You may also wish to review the Citi Double Cash Card, Wells Fargo Cash Wise Card, Chase Freedom Unlimited Card, or the Discover It Credit Card for other options with higher cash back earning rates on everyday purchases.